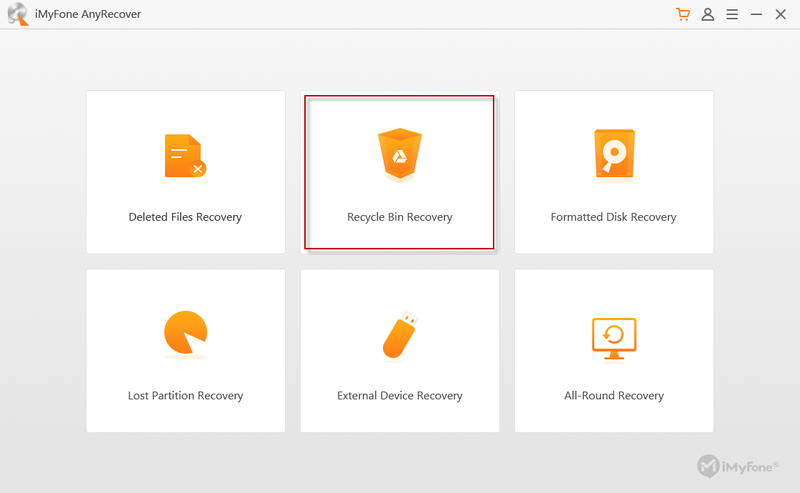 Launch AnyRecover on your computer and select the “Recycle Bin Recovery” mode. If you are looking for a specific file, you can select a file type to make the process move along quicker. Choose fromPhoto/Audio/Video/Document/Archive/Others file types. Then click “Scan” to start the process. AnyRecover will start a quick scan on your emptied recycle bin/trash. After it finished, it will present you the results of your deleted files. Once the scan process completed, AnyRecover will list all lost files from your emptied recycle bin/trash. You can choose to preview before recovery. 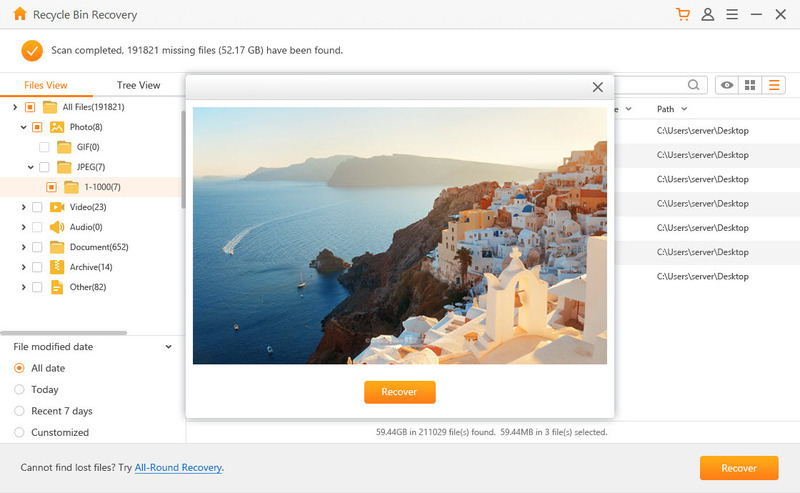 If you cannot find your lost files, you can try the All-Round Recovery mode. It will conduct a deeper scan to search for more files, but it will take more time to complete.